Every Home Stager has their tricks of the trade; the ‘go-to’ items that are used when getting a home ready for sale. One such item I often purchase for staging was the Iris Roman Blind by IKEA. This simple to install and very affordable (~$7) white cotton blind was the perfect solution to dress up a bathroom or even a small kitchen window. Unfortunately IKEA discontinued the blind (safety issues) and just when I wanted one for my own home too. Darn! But here’s an interesting story. One day I pull up to the car wash and while waiting for my turn in line I decide to tidy up the inside of my car. Just as I am about to throw my garbage into the pail provided for customers guess what I see standing up in the garbage pail? An IKEA Iris Roman Blind still in the package. Brand new never been used and exactly the size I was looking for!! What are the chances? But goods news, IKEA now sells a blind similar to the Iris – the Emmie. (Must be the sister version!) 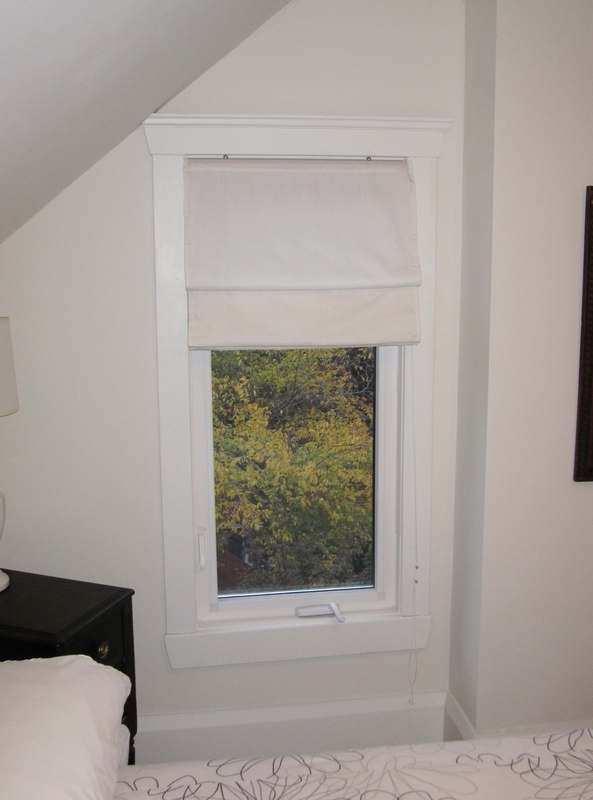 This blind is also a good-looking, affordable solution for a window. 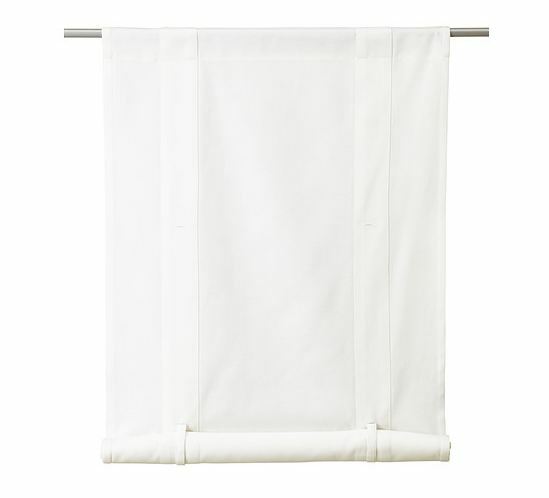 I like the tailored crispness of this blind and can see it hanging in a bathroom, nursery, kitchen, cottage or wherever. This entry was posted in Design, Home and tagged DECOR, Interior Design by Modmissy. Bookmark the permalink.